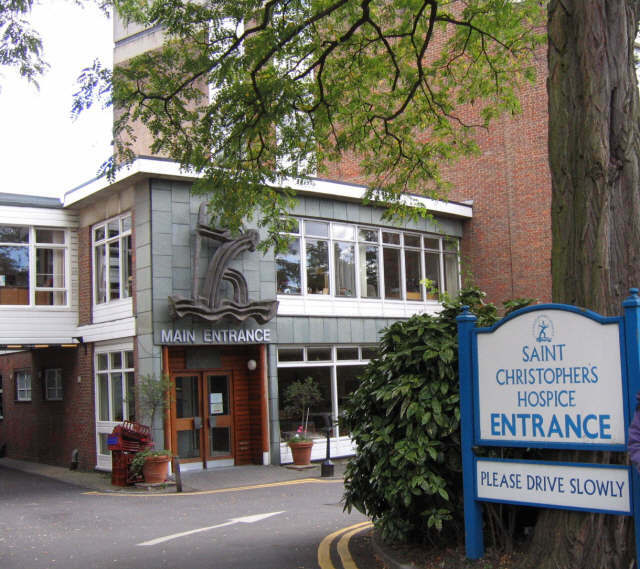 Should for-profit hospices be banned? Or are they victims of a witch hunt? "Hospice care, once chiefly a charitable cause, has become a growth industry, with $14 billion in revenue, 1,800 for-profit providers and a base of Medicare-covered patients that doubled to 1.1 million from 2000 to 2009. Compensation based on enrollment numbers, pay to nursing-home doctors who double as hospice medical directors, and gifts to the nursing facilities have helped fuel the boom, according to a study of 1,000 pages of court documents and interviews with more than 45 hospice employees, patients and family members." "A national hospice company improperly cycled patients through nursing homes and hospice with a goal of making as much profit as possible from Medicare, according to a whistleblower lawsuit announced this week." All of this press on the heels of a terrific JAMA article by Melissa Wachterman and Ellen McCarthy at Beth Israel Deaconess Medical center that described differences between for-profit and nonprofit hospices. Seven percent of patients in for-profit hospices had lengths of stay of greater than one year, compared to three percent in nonprofit. For-profit hospices enrolled nearly twice as many patients with dementia - patients with lower skilled needs and longer lengths of stay. And yet, for-profit hospices probably do some things that nonprofits don't do well. The flip side of the above findings is that for-profit hospices are terrific at enrolling patients with advanced dementia, a terminal disease needing palliative care. For-profits tend to be larger, and because of the economies of scale associated with size, they're able to provide more "open access" care to patients who are not yet ready to transition to an exclusively palliative approach. The argument can be made that most patients do not enroll in hospice long enough to realize the benefits. With this phenomena in mind, longer lengths of stay are a good thing - to a point - but where is that point? This is a central issue at stake. What to make of all this? Is it possible to align the goals of outstanding end-of-life care with a for-profit model? Is it ethical? One argument is to allow for-profit hospices to continue, but place better safeguards and do a better job of rooting out fraud and abuse. Another argument could be made for banning for-profit hospices. As a community, we have a lot skin in the game. Many of AAHPM's members and leaders work for for-profit hospices, including the current president, the medical director of Gentiva, the nation's fastest growing for-profit hospice provider. Many others work for Vitas. Amusingly, Vitas, the nation's largest provider of care to the terminally ill, is owned by Chemed Corporation, whose other holding is roto-rooter, the nation's largest plumbing and drain-cleaning provider. As these arguments play out in the press, congress, and the courts, we should try to sharpen our message as a community about the role of profit in the hospice industry. The risks of not thinking this through and letting others craft the message are too great. As someone once told me, in response to the growing misuse of the Medicare hospice benefit, "Pigs get fat. Hogs get slaughtered." Banning for-profit hospices out-right seems severe, though, especially considering MedPAC has offered possible solutions to the potentially faulty payment system that CMS uses to reimburse hospices (see: www.medpac.gov/documents/Mar09_FactSheet.pdf). I was hoping those ideas would be adopted along with the addition of a fifth level of care for hospice patients. Currently there are four levels of care: routine home care, continuous care, respite care, and general inpatient care. Each level of care has a per diem rate attached to it. Adding a fifth level of care, maybe called routine institutional care, for hospice patients living in assisted living communities/nursing homes could save Medicare money by reimbursing hospices at a level that reflects the actual cost of providing hospice care to those patients (that is, a lower per diem amount than routine home care). Changing the reimbursement rates could change the incentives for hospices to admit and retain patients that are not appropriate for hospice. I am wondering, though, why Congress has failed to implement MedPAC's 2009 recommendations to reform hospice payments. Their 2011 recommendations included upping the hospice reimbursement rate by only 1% instead of the 2.6% they were forecasting. Their previous recommendations are still on the table (see: www.medpac.gov/chapters/mar11_ch11.pdf). That being said, I do believe hospice care plays a vital role in caring for our elderly clients nearing the end of their lives. For most of my clients (I am a geriatric social worker), having hospice services allows families to keep their loved ones at home and out of the hospital. When an emergency occurs at any time of day or night, they have a skilled nurse to call upon to treat their loved one at home. Without hospice, calling 911 may have been their only option in a crisis. Furthermore, for my clients living in assisted living communities and nursing homes, adding the specialized services of the hospice team adds the invaluable focus on pain-management, psycho-social support and bowel regulation to their plan of care. These services make a huge difference to the quality of life of my clients and to the journey they and their families are taking. In conclusion, I would like to see MedPAC's recommendations implemented and hospices get serious about adhering to Medicare's regulations. If something does not change, I am afraid that federal regulation will eventually become so stringent to address the fraud that it will inadvertently make accessing the services for legitimate patients extremely difficult. I am afraid the hogs will get slaughtered on our clients will suffer. The author creates a false proposition and then suggests they may be "victims" of a witch hunt. I, for one, would never suggest that for-profits should be banned, although would prefer that nonprofits be the norm. There are good nonprofit and good for-profit hospices, but the huge mega hospice chains have all pretty much been found guilty of flagrant, widespread Medicare fraud by the Justice Department, like Odyssey, Beverly, Gentiva, now Aseracare. Normally, I'd think that addiction of terminal patients or patients in any hospice is not a problem, because it's not, but when you add in nonterminal patients being used to bolster profit, then they end up addicted. With more than 200 thousand patients discharged alive every year -- 60 percent of them from for-profits, there is an obvious problem. These are the facts. Hospices normally do not discharge so many live patients. You can discharge a few who get better, but most die. And aside from the live discharges, what happens to nonterminal who are admitted and don't get discharged alive? Some of them are hastened to their death; it happens. Real clinical expertise in end-of-life care and palliative care in particular is more than giving morphine and Ativan to every patient who is admitted, yet this is what is practiced by many of these pretenders that are "hospice and palliative care" in name only, but do a disservice to those who work so hard to provide really good care. We've received thousands of reports from doctors, nurses and patients about nonterminal patients being shunted into end-of-life care settings and dying when they were clearly non-terminal. That is not the hospice mission. Vitas has been in trouble for paying commissions to salespeople to get admissions. Everybody knows its history of being found guilty of health care fraud and having to repay $170 million! Some of the big corporations are plundering the system and getting away with it for years till somehow the system catches up with them. The patients suffer when hospice-pretenders enter the game for profit (or nonprofits that do the same fraud). We need integrity in end-of-life care, whether for-profit or not. My father was one of the Kaiser victims cited by Ron Panzer and Kaiser did have to return the money to the government as he has written. Kaiser however is an example of a not-for-profit. I believe that while most not-for-profits appear to indeed have a better track record; that both for-profit and not-for-profit entities need greater public and regulatory scrutiny. "Terminally ill patients who receive end-of-life care from for-profit hospice providers receive a full range of services only half the time compared with patients treated by nonprofit hospice organizations, a new study finds." organizations at both the state and federal levels." continued misapplication of current regulations which brings harm to patients and their survivors. Self regulation is not the answer, nor is continually giving a corporation another chance. I have studied this problem for over a decade now and in my very humble opinion the only way either the for-profit or not-for-profit entity can regain and retain the public trust is with greater public and regulatory scrutiny. One bad apple in either the for-profit or not-for-profit sector is enough to spoil the entire barrel. "The longer lengths of stay are clearly admissions of obviously nonterminal patients and some are ending up addicted to opioids when they are discharged after being used to bolster profits." It's not obvious to me that these were nonterminal patients. The best data we have to date suggests that a third of patients discharged alive from hospice will die within 6 months attesting to the severity of illness these patients still have upon discharge (Kutner et al. JAGS 2004:52(8),1337–1342). Furthermore, the longer length of stay found in the cited JAMA article is likely because the for-profit hospices are admitting more patients with a non-cancer diagnosis, like dementia and CHF. These diagnoses carry with them significant challenges to prognosticating 6 month mortality due to long periods of functional decline. These patients with non-cancer diagnoses have traditionally been under-represented in hospice in part because of this difficulty. This is the reason that I was actually happy when I first saw the JAMA paper. Finally someone was paying attention to these patients! Lastly, there is some evidence that hospice enrollment may actually prolong lives of individuals, especially in those with disease like heart failure where the added care that hospice provides can have a dramatic impact in how long they live. I have seen this multiple times when I send patients to our own hospice unit. Despite multiple admissions for end stage heart failure and a quickly declining hospital course some of these patients come to our unit, only to have their symptoms improve to the point where we discharge them home. In no way should this be considered a failure or a testament that we admitted a nonterminal patient. The hospice provided good care consistent with the patients goals and low and behold, they got better. I have no doubt if we just did the same thing that was done in the prior 4 hospitalizations and not enroll them into hospice, these patients wouldn't be alive today. If we focus only on profit vs. not for profit, we miss the opportunity to encourage quality services for the whole sector. I don't pick my physician on the basis of whether she is in private practice or employed. I choose based on discussion with others who have visited the physician and on a personal interview/evaluation. Hospices should not be initially judged any differently. Regulatory guidelines should apply to all hospices, and enforced uniformly. It would be a shame if the concern about profits resulted in fewer patients with dementia having access to specialty end of life care. You are right that good end-of-life care with appropriate clinical intervention can lengthen the life of the terminally-ill. This is the beauty of hospice and palliative care, what a wonderful difference it can make! However, research is showing that many large for-profits are not providing the care that hospices of integrity are providing. I've received numerous calls and emails from either hospice medical directors, administrators, nurses, as well as patients and families complaining about the poor care, difficulty getting needed visits, etc. from these large hospice chains. The reality of hospice around the country as a whole is not necessarily as good as care provided by a hospice and its staff with great dedication. We cannot assume that the care given by others is actually the same as given by us, or those we know to be dedicated, like yourself, for example. You can explain away some of the live discharges by saying it's difficult to predict the course of non-cancer diagnoses, but when you have so many (as noted above), it is clear something else is happening, whether one wishes to admit it or not. Wishful thinking doesn't make it so. Over and over, some of the hospice chains have been found guilty of fraud, plain and simple, not because the physician couldn't predict the course of the disease, but because it truly was fraud. I've had reports from nurses all over the country reporting that these chains are admitting truly non-terminal patients, using them to bolster the census and then dumping them later to avoid scrutiny from the fiscal intermediaries. I admire your dedication and pray that all who are involved share your dedication, but we cannot and must not close our eyes to the real problems that exist. It is not wise to "explain away" the problems. Something is there, and for the good of the industry and the patients and their families, we must work to reform the industry where it is needed. This is the mission: to care, to serve, and to correct problems when they are brought to our attention, as you would do if it happened in your hospice setting. Kaiser is not just nonprofit, as you know. The Kaiser Permanent Medical Group (KPMG) is for-profit and has very significant bonuses and retirement plans for all physicians who practice in the Kaiser Health system. They write the orders and through these, manage the costs incurred by the system. When they meet and/or exceed the guidelines issued by the HMO, they receive bonuses. many of the managed care organizations reward physicians who reduce treatment options offered and provided, reducing costs, increasing revenues, and those reductions are known to result in many cases in harm or even death to the patient. As you know, not all "cost-effectiveness" guided decision-making is in the best interests of an individual patient. Ron you are correct pertaining to Kaiser. They are a consortium of which only some are not-for-profit and those parts that are administering the program are definitely for-profit entities. I would never recommend the Kaiser hospice program within the Kaiser system to anyone and do express sympathy for those that have the misfortune to be placed in it. Those poor people can't even leave the program except on paper. Their care does not improve once they are able to escape it. That is the Kaiser system. I have heard of many fine hospice programs in this country, all of them true not-for-profits. I have learned of many government actions taken against for-profit hospice programs that were well deserved. Unfortunately, the corporations that were found to be shortening life, causing patient abuse and defrauding the system were only fined and were not really stopped from continuing their wrongdoing. A public display is made to placate a grieving public and not much more. The cost saving reasons that the government has for allowing these actions to continue and drag debate and discussion on for decades is only going to continue. There will be no solution until hospice and other medical corporations are forced to stop contributing to legislators and regulatory agencies including District Attorneys. The government regulators will continue to turn their heads with wrongdoing and levy what amounts to small fines as regulatory action when such acts are brought to their attention until they find a more reasonable, respectful method of fiscal saving than condoning action of the abuses that continue to take place. I admire those that work within the hospice programs striving to follow their true mission. Those that do are far stronger and more compassionate than most of us. I abhor those that go out of their way to bring harm to vulnerable individuals for financial gain. I think little of stockholders that ignore what is taking place to line their pockets with gold by continuing to invest in such corporate encouraged activity. I also believe that those that are true to the hospice mission and do appreciate its theory should as an organized group start showing some power and more vocally strive to stop what has been going on for a very long time within for-profit and some not-for-profit hospice programs in this country. In fact, I pray for that every single day. I'm willing to take a stand - I think the growing dominance in the "hospice industry" (I hate calling hospice an industry) by huge for-profits can only bode poorly for patients and the national healthcare budget. There are too many parallels to the health insurance industry which up until the 80's was dominated by smaller, non-profit insurers, and now is dominated by 5 Wall Street behemoths, but that is another story. The incentives are all wrong in publicly traded hospices. We published "In the Business of Dying: Questioning the Commercialization of Hospice" by Joshua Perry and myself (http://iub.academia.edu/JoshuaPerry/Papers/607386/In_the_Business_of_Dying_Questioning_the_Commercialization_of_Hospice) in the Journal of Law, Medicine, and Ethics, Summer 2011. We need to not be afraid to challenge the for-profit consolidation of hospice. Yes, some of the non-profits behave just as poorly as the for-profits. Be careful about calling for more accountability. More reporting requirements often give the largest hospices an advantage over smaller ones because of their economies of scale. Smaller and non-profit hospices are facing an uncertain future. We need to stand up for them. OOps a very lively discussion.Just when we, in Africa are starting to consider for profit hospices.The biggest issue in this setting is the fact that most hospices are donor funded and as such should not charge patients and hence not make profits.But many people feel that whatever is free is of poor quality and as such do not consume this important service whose neeed increases day by day.Mind you we dont have such benefits as medicare.So wonder what the way forward is.As donor funds also dwiddle, the non-profit hospices are feeling the heat of sustainability and the fear is they might collapse altogether. 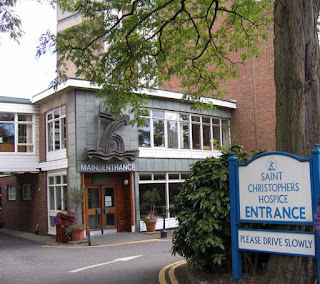 If you are on the commitee of a hospice ie a chairman and you have your own buisness set a side, are you allowed to use the Hospice to gain work through your own company? ie. if i had a healthcare buisness would i be able to supply the hospice with beds etc etc and make profits? for the healthcare buisness! !